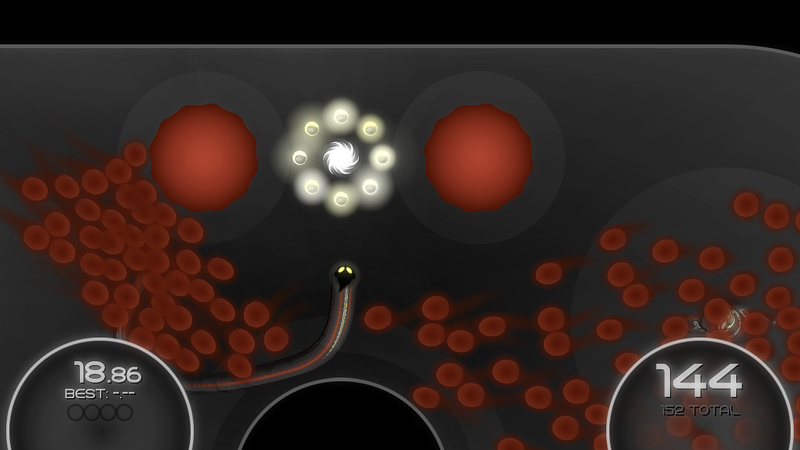 Fluid was released on XBLIG on October 22, 2010 for 80 Microsoft Points. 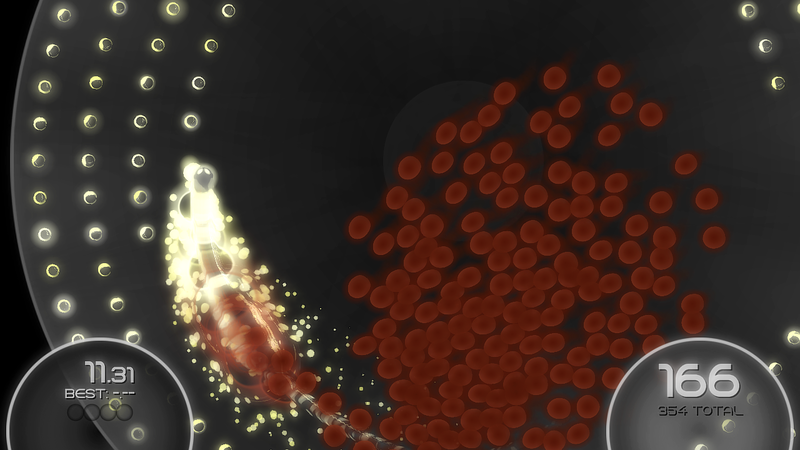 Fluid is a game that boggles the mind, and will keep you occupied for hours. I call is a 2D puzzle racer, because the object of the game is to find the quickest line around the level without getting killed in the process. I was calling it a 2D version of Super Meat Boy! Click read more for everything about the game and what I thought of it. 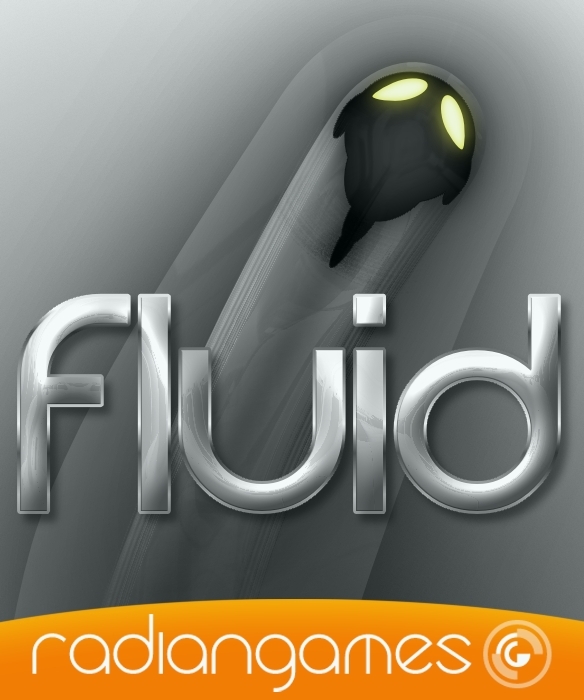 Fluid is the fourth release by small independent game developer Radiangames. Now, while we here at XBLAfans haven’t reviewed the first 3 games (no worries they are coming), we has been starting to make the big push into the XBLIG titles. Radiagames tend to focus on 2D style games that have a very unique color style and feel. 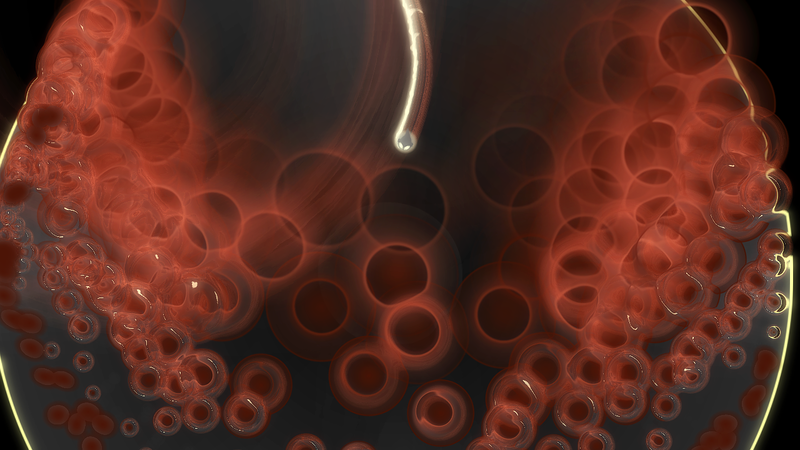 The description of fluid reads: “Race as fluidly as possible to collect all the dots and avoid the growing swarm of killer jellyfish. Use powerpills, vortices, speed pads, and teleporters to perfect your runs across 30 levels and 5 extreme levels.” My description of the game would read a bit differently. 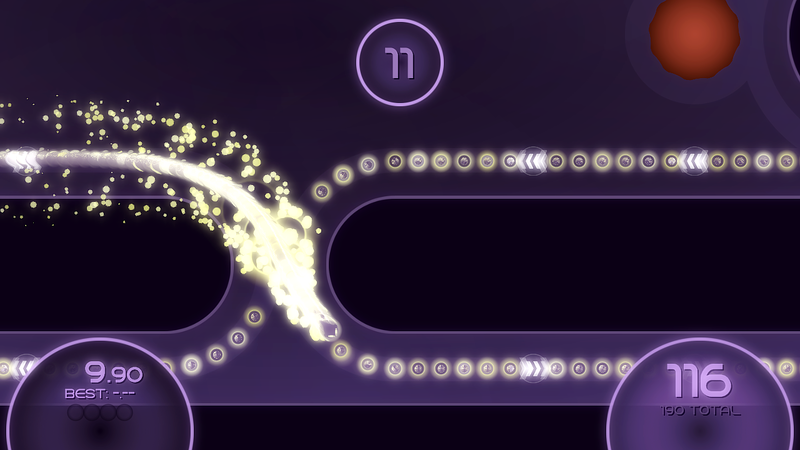 Fluid is a fusion of an arcade racing title and pacman. The ghosts constantly multiply into a larger number, while you need to find the fastest and safest way around the course. 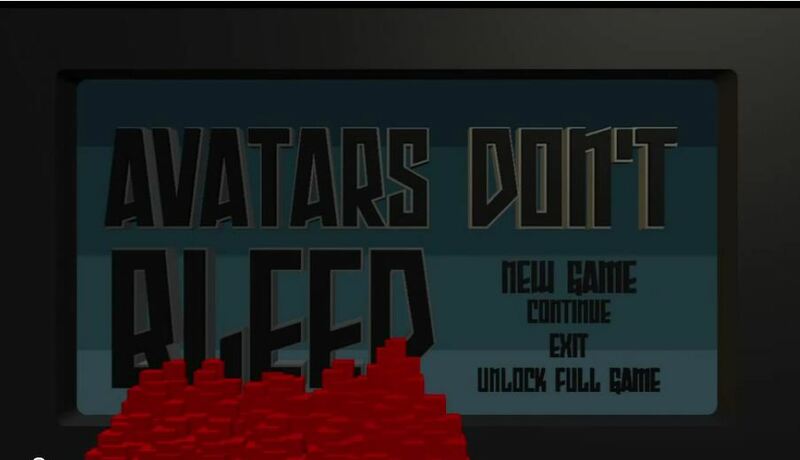 The Controls: The game is called Fluid, and I would expect the controls to be like that. Guess what, they are! I am not going to lie, it does take a bit to get used to, because the physics engine used in the game is also at work. If you hit a speed pad, don’t expect to make a nice tight corner, or to even try to double back the way you came. When you end up getting a powerpill, you slow right down as you get 3x times you size. It’s harder to move, and you can feel that in the controls. One sentence to sum up the controls, they are as tight as Super Meat Boy’s controls! The Concept behind the Game: that might sound odd, but it’s something different. 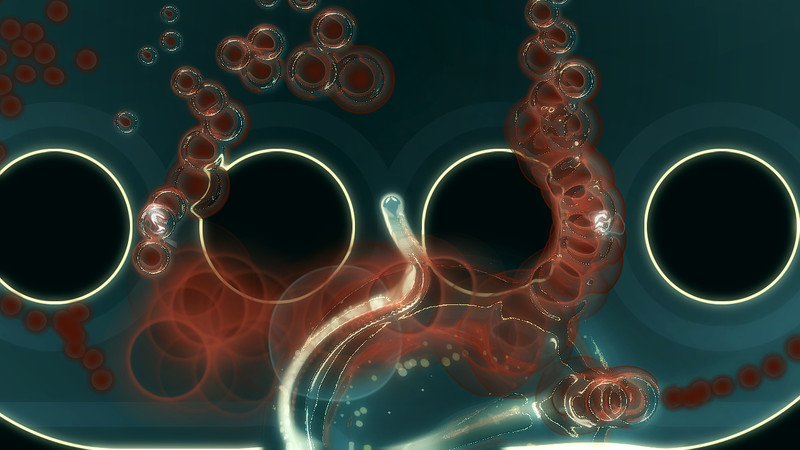 Each “dot” you eat you end up spawning another jellyfish that follows you around the level. 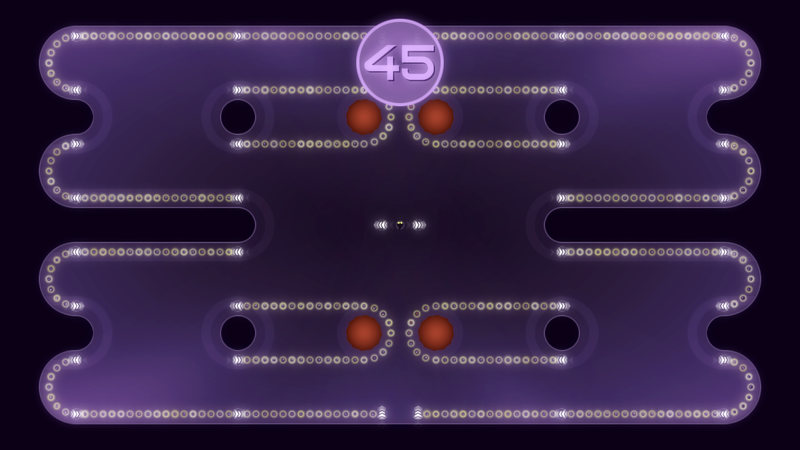 If there are 180 “dots” in the level, there will be at least 179 jellyfish chasing you down. This ends up getting rid of the idea of doubling back to get that one “dot” that you missed. If you missed it the first time around, it’s going to eat into your time to have to fake out all the jellyfish to go grab it. It keeps you moving and it keeps you thinking about how you can best get around the level. I find myself starting to think, “where is the fastest line around the track?” It’s like I’m in a racing game like Forza. 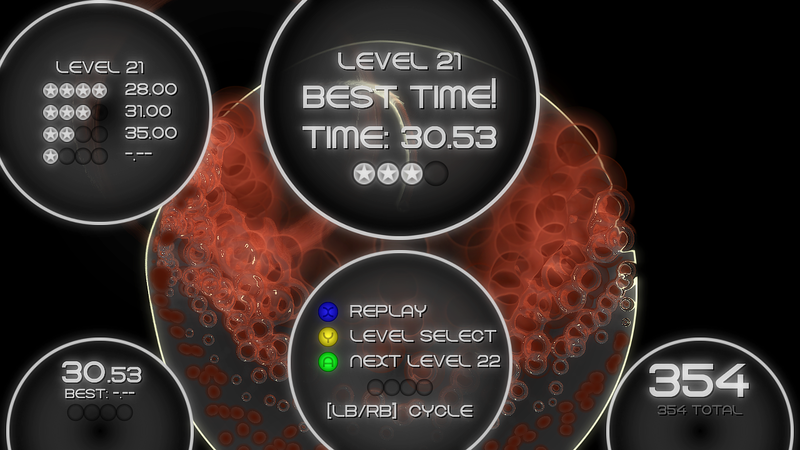 Replayability: Sweet, you ended up getting 4 stars on the level, but can you do it even faster? I was messing around on one of the levels that I already completed and got 4 stars on. I wanted to see what would happen if I bested my time, and I found a nice little secret. There are gold star times that are even more insane than the four star times to try and achieve. This, I feel, can keep people going back to the game time and time again to try to beat their best time. Personally speaking, my Girlfriend will pick up the game, and try to best my times. Price Point: As with most XBLIG games, the price point on this one is awesome! 80 Microsoft Points ( 1USD) for the whole package. 30 levels, 5 extreme levels of goodness to keep finding out how to get the best line in. You have a good amount of replayability after that as well, so you will definitely get your money’s worth out of the game. NO Leaderboards: I would love to see how some of my times on the levels stack up against the rest of the world out there. I think it would have been really cool to see if my time on level 8 is better than everyone else’s time (only because I got 4 gold stars on that one really). 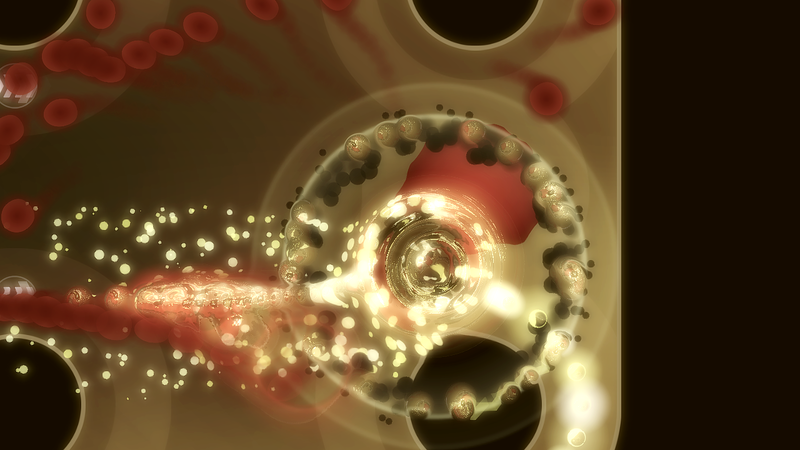 I know no game is perfect, but fluid does exactly what it set out to do. The only thing that I hope, is that Radiangames comes out with a Fluid 2 or, they release a small DLC pack adding some levels. Now that would be absolutely cool. Fluid is a tight package and well worth the money spent on buying it!